Prices quoted are all inclusive with, unlimited km/day, GST, Kitchen Kit, Linen, table and chairs, extra drivers fees, stamp duty & admin fee, prepaid gas bottle, Insurance and 4WD Easycover included nil Excess, 4WD outback Safety Kit. National Park Pass - free entry to National Parks. 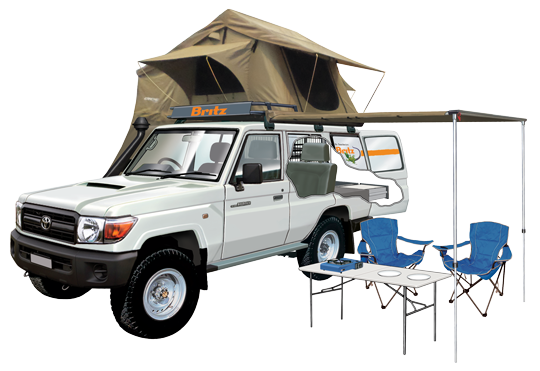 Comprehensive 4WD Travel pack with detailed maps, information, itinerary advice and recommendations on what to see and where to camp (received before you travel so you can plan &/or ask us any questions). Arrive in Broome pick up your campervan from the depot and begin exploring some of the many attractions within Broome. Depending on your interests spend time relaxing and swiming at Cable Beach. Marvel at the sweeping white beaches, rich red outcrops and blazing turquoise water of Gantheaume Point or participate in some of the great activities including a sunset camel ride or watch a movie at the famous Outdoor picture theatre. Inclusions: Campervan Hire, , Exclusive 4WD Campervan Travel pack with detailed maps, travel information and recommendations on what to see and where to camp (received before you travel so you can plan &/or ask us any questions). Day 2 Begin your Kimberley adventure by heading out to Derby and the Gibb River Road at whatever time of day suits. An adventurous day exploring the famous gorges of the West Kimberley. Explore at your own pace and marvel at the natural landforms such as Windjana Gorge (an ancient underwater reef that is now above ground) Lennard River Gorge and Bell Gorge (one of the most spectacular gorges in the Kimberley). Inclusions: Campervan Hire, National Park Entry, Exclusive 4WD Campervan Travel pack with detailed maps, travel information and recommendations on what to see and where to camp (received before you travel so you can plan &/or ask us any questions). Depart Bell Gorge and head towards Manning Gorge along the Gibb River road at whatever time of the day suits. Your departure time will depend on what time you want to arrive at Manning Gorge and which of the stunning attractions you want to explore along the way . Choose to visit, relax and swim at Galvans Gorge, Manning Gorge or Adcock Gorge. Day 4 Depart Manning Gorge and head down the Gibb River Road at whatever time of the day suits. One guaranteed challenge will be crossing the mighty Pentecost river (be careful) On Arrival into El Questro take the opportunity to enjoy spectacular scenery, and bushwalk amongst the many spectacular gorges on the property, fish for the mighty barramundi or take a cruise down Chamberlain Gorge. Inclusions: Campervan Hire, El Questro Wilderness Park Entry & Campsite Accommodation, Exclusive 4WD Campervan Travel pack with detailed maps, travel information and recommendations on what to see and where to camp (received before you travel so you can plan &/or ask us any questions). Day 6 has you departing El Questro and heading towards Kununurra at whatever time of the day suits. Sleep in or take the opportunity to explore more of El Questro, before visiting Parry's Lagoon Nature Reserve with its extraordinary birdlife and cooling off with a refreshing swim at nearby Grotto Swimming hole. If you have time a quick drive up to Wyndham and the spectacular Five Rivers Lookout & Australia' Largest Boab Tree. On arrival into Kununurra and take an optional 2.5hr scenic flight over the World heritage Listed Bungle Bungles. (extra cost). Alternatively take the time to explore some of the spectacular attractions around Kununurra including Mirima National Park , Lake Kununurra and Ivanhoe Crossing. A full day to relax and explore around Kununurra Depending on your interests choose between a number of world class attractions including Lake Argyle & the Ord River and spend the afternoon in the spectacular scenery and bushwalks of Keep River National Park. Alternatively choose a day trip into the Argyle Diamond Mine (The world's largest producer of diamonds and the only source of teh beautiful and unique Pink diamonds). 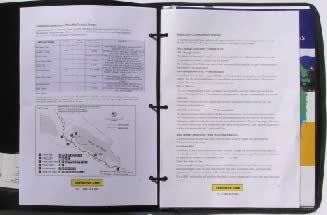 Please note if you are choosing the Argyle Diamond Mine Option it includes a flight over the Bungles. Inclusions: Campervan Hire, Exclusive 4WD Campervan Travel pack with detailed maps, travel information and recommendations on what to see and where to camp (received before you travel so you can plan &/or ask us any questions). A long days driving to Fitzroy Crossing, Break up your drive with a stop at Halls Creek and the nearby attractions including China Wall & Old Halls Creek before continuing your journey along the Great Northern Highway. On arrival at Fitzroy Crossing take up the Geikie Gorge cruise and explore a great example of the wonders of the Kimberley. If your arrival and timing doesnt suits consider doing the Geikie Gorge Cruise tommorow morning. Travel the 400km from Fitzroy Crossing to Broome at whatever time of day suits. On arrival in Broome unwind and explore the local highlights Broome has to offer such as the Pearl Luggers, Outdoor Cinema and sensational sunsets. Marvel at the sweeping white beaches, rich red outcrops and blazing turquoise water. A free day to relax, play golf, shop for pearls or explore more of Broome's highlights before returning your vehicle. Package price is based on vehicle being returned before 4pm. Comprehensive Itinerary with detailed information and recommendations so that you can plan and tweak the itinerary each day based on your interests. Package includes Wilderness Park Entry and 2 nights unpowered campsite at El Questro Wilderness Park . Fly direct from Broome to the Horizontal Falls, aboard an airconditioned prop jet seaplane. Spectacular Seaplane landing on the waters of Talbot Bay. If you are contacting us via phone, email or through a travel agent please let us know which tours you would like to prebook. If you are booking online we liase with you as part of the confirmation process and will capture your request then. These prices are based on travel in May 2017, to get the best available rate for your travel dates click on Quote / Book Online. 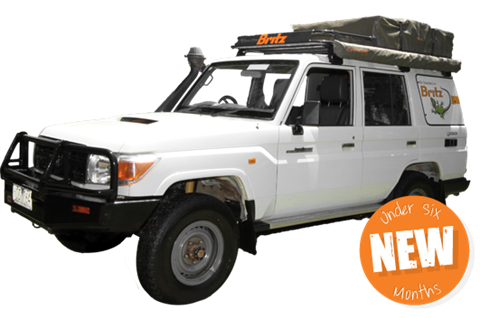 all inclusive with, unlimited Kilometers/day, GST, Kitchen Kit, Linen, table and chairs, extra drivers fees, stamp duty & admin fee, prepaid gas bottle, Insurance & 4WD Easycover included $nil Excess, 4WD outback Safety Kit. If the above package deals are not exactly right for you, feel free to send us an email or call us on 1300 305 505 with as much information as possible.